Musselroe Bay is located to the North and to the West of the Mt William National Park. Little Musselroe Bay is a beautiful bay with views to the Furneaux Islands (Flinders Island, Cape Barren Island) and features an abundance of birdlife and wildlife. To access, drive along Cape Portland Rd for a distance of some 27 km from the small town of Gladstone. Look for the signpost on your right, where you will turn and travel for a distance of app. 1km into the sheltered bayside camping area. The only facility at the Little Musselroe bay campground is a pit toilet; you will need to carry firewood and drinking water. Please remove all rubbish and respect the local shack owners in the area. There are clear signs where camping is not permitted. 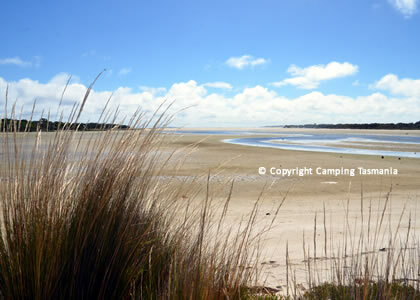 All sites are unpowered, and it is not possible to book to camp at Little Musselroe Bay. All camping is on a first come, first served basis. The campsites themselves are flat and offer some shelter and are immediately next to the beach. Please note DOGS are strictly not allowed at Little Musselroe Bay campground. There are no generators allowed at this campground, and vehicles are not permitted on the beach. Musselroe Bay Road, Musselroe Bay Tasmania. The free camping at Little Musselroe Bay is located near Cape Portland on the far North East tip of Tassie and not far from the Mt William National Park. 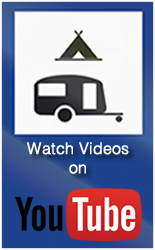 This campground is suited to smaller vehicles and tent camping only. This remote coastal conservation area, north of Mt William National Par,k offers great camping. Maximum stay is 4 weeks, you must carry your own firewood and drinking water.This campground closes after Anzac Day until the 1st of November each year.